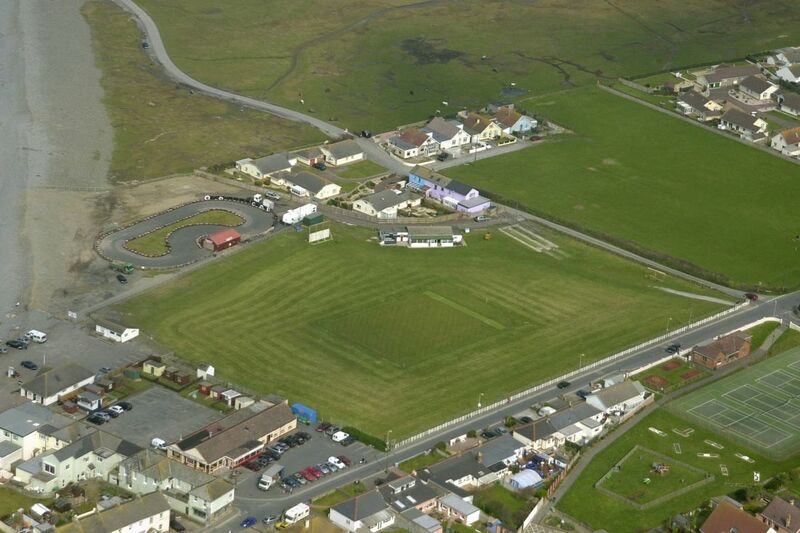 Helicopter's eye-view of our ground - click for larger pic..
... is located on the North Devon coast in Westward Ho!, we run four weekend teams, a Mid-Week XI and have a thriving Colts' Setup. Practice night in season is Wednesdays from 6pm. We invite Touring Teams (please contact our Fixtures' Secretary) to play mid-week friendlies and new members are always welcome. We have two teams in the Devon League on Saturdays and two in the North Devon League on Sundays. Social Memberships are available too. New Members of all standards are always welcome. ​Colts' Practice nights are Fridays at 6PM. There are upwards of 50 home fixtures a season PLUS Colts' games and Pub League matches... So anyone interested in helping with the organisation/wicket preparation etc please do get in touch with a member of the Committee. Or just pop down on a match day and introduce yourself! We have achieved ClubMark Accreditation which recognises our commitment to being safe, effective and child-friendly. We run Colts teams at U15, U14, U13, U11 and U10 levels. We are an ECB Focus Club and have five ECB qualified Coaches in our ranks. Check out the Colts Pages for fixtures and results. The Club is also very lucky to have such great Sponsors - please support them whenever you can.